OurEnergyPolicy.org | Can You Be An Environmentalist and Pro-Nuclear? 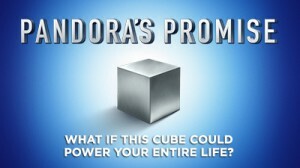 The premise of Robert Stone’s newly released documentary, Pandora’s Promise, is that despite the scary features of nuclear radiation, nuclear power is the best chance we have to avoid the catastrophe projected from burning fossil fuels to power the growing world economy. The documentary’s approach is rather unique – former anti-nuclear environmentalists describe how and why they became pro-nuclear, in spite of even the recent major Fukushima Daiichi reactor disaster. It is important to add that Director Robert Stone is not arguing that standard “light water reactors” (LWRs) should be pursued, but rather newer designs, such as inherently safe breeder reactors that would deal locally with spent fuel to maximize the extraction of energy from the original uranium fuel. Pandora’s Promise raises two ideas intended to address aspects of public fear of nuclear reactors that are not normally part of the public debate on nuclear power. The first is that reprocessing the fuel on site eliminates both transport of waste on public roads and the need to have several large nuclear waste disposal sites. The second is that you can design reactor cores in which the power density is reduced to the point where natural convection cooling is capable of preventing core meltdowns — a so-called inherently safe design. But is the general public really going to be convinced that 1,000 nuclear power plants is a better idea than waiting to see if catastrophic storms really do become more common and sea levels actually do rise by 1-2 meters on account of burning fossil fuels? Even though I may be, to some, extremely optimistic to believe in the eventual success of fusion power, I think Robert Stone is even more of an optimist than I am to think that Pandora’s Promise is likely to convince the general public to become pro-nuclear (or at least not anti-nuclear). Still, if he and others don’t try, nuclear power will surely never have a significant resurgence. What role should nuclear power play in our energy future? How does public perception of nuclear energy shape U.S. energy policy, if at all? Can we compare the potential costs of nuclear power with the potential costs of fossil fuel power in any meaningful way? What role should nuclear power play in our energy future? How does public perception of nuclear energy shape U.S. energy policy, if at all? 16 Responses to Can You Be An Environmentalist and Pro-Nuclear? The nonsense that we need nuclear power to address climate change is analogous to needing DDT to kill harmful insects. Nothing could be further from the truth. I hand out to my GWU classes 25 recent studies which show that the world (and the USA) could meet most or all of its energy needs sustainably from already commercial high value energy efficiency and renewable energy. These studies from a host of prestigious organizations including Google.org, National Academy of Sciences, Oak Ridge National Labs, National Renewable Laboratory, MIT, DLA, IPCC, EPRI when taken as a whole, or in aggregate, show we can meet our energy and water needs without Clean Air Act regulated or greenhouse gas emissions. The Union of Concerned Scientists a released February 2011 report about the subsidies for nuclear power, “Nuclear Power: Still Not Viable Without Subsidies,” found that more than 30 subsidies have supported every stage of the nuclear fuel cycle, from uranium mining to long-term waste storage, which added together, these subsidies cover from 70 – 120% of the investment. In fact the two South Carolina nuclear plants are now above $8 billion and have rate payers paying monthly for 10 years even before one kilowatt is generated. These plants are touted as being safe, even though they have liability limits, so the taxpayer has to pay if there are accidents. And after September 11th, Katrina, and Sandy, Fukashima – why would we bear the risk when we have lower-cost and safer options with minimal waste and safety concerns ? What Japan, Germany and hopefully the US has in common, is that you don’t need a sledge hammer to kill an ant. There are far more elegant solutions. And we have them now. Some of us would bear the public share of the burden in the interest of diversity and a hard earned appreciation that the sort of calculationist-driven world of “rational” energy consumption that you advocate is just more evidence of the Utopian Engineering Hubris that has created all the other “technology silver bullets” that consume lots of passion and in the end only raise the global temperature. The technologists (in all these advance industrial sectors) have been allowed to run free ever since the end of WWII. They have consistently over promised, and when their promises go bust the take to throwing things at each other in a distracting effort to prove the proposition – “He’s more incompetent than I am!” We need to work the sociological side of the Socio-Technical divide to restore some parity. First, if there were to be a serious dismantling of the legacy nuclear industry, would you be favorable to the deployment of “safer” and newer nuclear technology including the modular reactor technologies in order to speed up the process of dismantling the legacy nuclear power plant technology? Second, do you see a need for the main nuclear powers (especially the ones friendly to the U.S.), to remain engaged in nuclear power in order to maintain the expertise necessary to manage whatever level of nuclear weapons we continue to maintain? We humans have to get past emotion and operate on the basis of hard data and cold facts if we are going to survive into the next century. Our leaders at least have to apply the intellectual discipline of weighing costs proportionally against benefits. In the case of electricity production, the benefit is watt-hours of energy service delivered. When we normalize the actual human and environmental damage of each type of power generation to the amount of power delivered, the most deadly form of electricity is . . . hydropower, followed by coal and gas, with nuclear far in trail. Comparing nuclear power to DDT as Sklar does above is telling — appealing to a case where emotions have triumphed over rational evaluation of costs and benefits. Mosquitoes are the most deadly disease vector in the world, today killing one person every 12 seconds, one child under 5 years old every 30 seconds. DDT was so effective at eradicating the global scourge of malaria that it earned the discoverer of its pesticide properties a Nobel Prize in 1948. It saved millions of lives in WWII and into the 1950s. Of course, indiscriminate use of DDT was proved to be genuinely harmful (as it is with virtually any chemical compound), and intermittent and uneven use reduced its efficacy over the years as arthropods developed resistance. However, instead of taking its proper place in the world’s collection of various pesticides, each with its own unique set of benefits and costs, it was singled out to be demonized. Malaria cases rebounded with a vengeance in places where its use was banned, and people shifted to other compounds out of fear without a good understanding of either the old risks they were fleeing or the new risks to which they were exposing themselves. How much safer is malathion or permethrin or resmethrin or pouring diesel oil on lakes and swamps, or the prophylactic drug mefloquine which is now recognized by the FDA as a neurotoxin that can cause permanent brain injury? Today, many people have been stirred into a panic about the climate and environment and energy supplies by doomsayers and they are bent on fleeing conventional and nuclear energy sources for alternative energy out of an emotional and political furor without first having counted up the costs of the new and the benefits of the old. We need to sit down and cool off and reason together, not fan the flames and cheer the lemmings over the cliff. Nuclear power has the distinction of being the first major technology in US industrial history to reach a stage of adolescent technical competence only to fail to move forward to mature economic acceptance by the society at large – imperfections and all. The plants hum away in the background – until some remote or improbable event grabs the news cycle for a little while – then out come the worry warts. On recent evidence, it’s the nuclear energy insiders who are the worst hand-wringers. Students of history, particularly with understanding of the role that contingency plays in the actual “track” of a very large complex adaptive enterprise, can recognize that the environmental movement emerged serendipitously on the arc of nuclear power, and unfortunately with the proverbial “butterfly effect” course changing impact. Modern environmentalist movements originated with chemical, not nuclear hazards, but the emergence of a NIMBY strategy for non-violent pollution protests could hardly pass up the large targets presented by plants like Shoreham and Seabrook – particularly after TMI and given that the NRC’s process to enable intervention was considerably easier to engage than its counterparts in the Clean Air, Clean Water world. However, to say that a Perfect Storm struck commercial nuclear power aspirations in the decade after TMI is not to fully explain the current state of industry malaise. Today, environmental regulation is relatively mature; and RCRA and CERCLA do work to create some barriers to willful neglect. And following Texas City and Deepwater Horizon – along with super storms Katrina and Sandy – some of us now do worry broadly about how long we can persist at “crapping in our own nest.” So why is nuclear such a hard sell? I’d suggest we have some basis for believing that the weighing of National Energy Security options need not be as haphazard or contentious as it was in the early 1980’s. Still I see a problem with the nuclear industry that makes the possibility of such fulsome debate improbable at present. In the follow on from the Fukushima events one can see in sharp contrast that nuclear energy insiders are their own (and thus our own) worst enemies. With the prominence of Evacuation Stress Syndrome related early deaths (approximately 1000 cataloged) and findings by WHO and the UNSCEAR that radiological exposure consequences of the Japan accidents are going to be undetectable – we should be asking ourselves why are we persisting in the Myth of Spectacular Exception (i.e. when it comes to nuclear power – you must be “very, very, afraid”)? Today we know that the Linear No Threshold Hypothesis (LNTH) of radiological effects is wrong – falsified – and with it the perfection-tending impact of the ALARA principle. We inside the industry, regulators, owners, suppliers, and such are the ones keeping that myth alive. There is a rather amazing web of rationalization we use to “shift the burden” of our programmatic failures to public non-acceptance – but the evidence isn’t there. Take away the LNTH and the macro-economics of nuclear changes dramatically in its favor. To be sure, a very small number of perpetual anti-nuclear foes have forged a few conspicuously powerful Congressional alliances, but it is our timidity, not their implacability that is the cause of our collective inability to make the case that base-load or site-specific nuclear, in an industry that grows improved platforms in the manner the aircraft industry does, is a “no-brainer” sensible component of the National Energy Security mix for at least another 50 years. It is going to be up to those who see the big picture need most reliably to craft a new political compact to replace the one that has been overseeing the nuclear program evolution since the AEC was disbanded. That 1974 compact has run its useful course – today it is obsolete and doing more harm than good. A job for a pro-nuclear environmentalist? You bet. Although I’m pro-nuclear in many ways, there is a problem with nuclear power that is real and that its advocates need to understand. I don’t have a handy name for it, but it’s a problem of organizational dynamics when dealing with complex, safety-critical systems. It’s by no means unique to the nuclear power industry, but it bites hard there. In what I would consider to be a healthy engineering organization, the mindset is “see a problem, fix a problem”. The power to make decisions is decentralized, the threshold for making changes is low, with engineers trusted to know when a change is or is not justified. Even production line workers are respected, and their suggestions for improvements are taken seriously. That pretty much describes the Japanese auto industry in the 1980’s and 90’s, when Japanese cars obtained a strong reputation for quality and value. “See a problem, fix a problem” works well and allows rapid progress when the systems are simple enough and engineers experienced enough to recognize problems and understand what the impacts of a proposed fix will actually be. It breaks down when systems become more complex, and the cost of changes rises. Then you get into formal change boards and longer design cycles with rigorous design reviews and verification test requirements. Productivity goes down and costs go up, but with good formal processes in place and a culture that honors them, good products still get delivered. When systems become still more complex, the formal procedures become burdensome to the point of breaking down. Nobody understands enough of the total system to know when a change is safe, and a well-meaning change board ends up approving changes that break something elsewhere in the system that nobody realized would be impacted. Productivity can drop to zero, with no net forward progress being made. Most senior engineers have war stories about projects that failed in that manner. When systems are both complex and safety critical, and there is “zero tolerance” for defects of any sort, a slightly different form of organizational dis-functionality can creep in. “See a problem, fix a problem” gives way to “see a problem, oh, my god! All the paperwork, the review committees, the testing and retesting, the schedule delays, .. is it really that big a problem?”. It’s not what the formal procedures call for, but the informal reality is that the more stringent the demands for safety, the stronger the tendency to make informal decisions about whether a problem is really worth all the hassle and cost that reporting it will cause. Then it’s “see a problem, look the other way”. The Fukushima disaster is a textbook case of that syndrome in action. It should not have happened. There were fundamental flaws in the plant layouts that should never have been allowed. The control wiring should not have all been routed through basements that could be flooded. The emergency power generators should not have been all located together in an area in an area that would be flooded in the event of a tsunami large enough to breech the protective berm — especially when there was nearby high ground behind the reactors that was out of reach of any conceivable tsunami. Flaws that are obvious in retrospect, but before? Well, they were obvious before as well, and there were memos noting them. But, really! The berms were high enough to withstand the largest tsunami ever seen in hundreds of years of recorded history. And if a 1000-year super-tsunami did happen to breech the berms, then loss of a few nuclear plants would be the least of the problems the residents of the area would be facing. It just didn’t seem worth all the time, money, and bureaucratic hassle that deviating from the approved design would entail. Especially to engineers who knew that the fears about radiation exposure and the dangers of a meltdown were vastly overblown. It’s hard to blame the public for post-Fukushima fears about what other potential problems at other nuclear plants may have been swept under the rug because those in charge considered the risks far too small to justify the cost of addressing them. Never mind that those in charge may be correct in their assessments; it’s still a dangerous and unacceptable way to operate. Yet it’s also hard to see how anything can change, in the face of the huge disconnect in how radiation danger and accident risks are perceived by the public vs. those operating the plants. There are reports that medical technology may be closing in on the holy grail of a broad spectrum cure for cancer. If the reports are accurate, and we soon get a vaccine that enables the body’s own immune system to recognize and destroy all cancer cells, it will be interesting to see it affects attitudes toward nuclear power. This is a hard subject to comment on. Not so much that it’s complex — though it is — but more that the issues are clouded by entrenched preconceptions, controversies, and historical baggage. It’s a minefield, and saying anything cogent about it in a short posting is difficult. I’ll try a bullet list of points that I think are valid and defensible, and we’ll see how it goes. It’s certainly possible to be pro-nuclear and pro-environment. Anyone who says otherwise is being unfairly dismissive of those who care about environmental issues, and sincerely believe that nuclear offers the most practical or perhaps even the only realistic option for reining in carbon emissions. One can legitimately question whether they’re right, but dismissing them as fools or dupes of the nuclear power industry — as anti-nuclear activists are prone to do — is both insulting and indicative of lack of understanding of the issues. The critical issues involve the interplay of economics, economic inertia, incumbent interests, politics, and culture. Scalability is the only technical issue that is truly critical; other technical issues, per se, are secondary. They do have obvious impacts on economics, but in general, the relevant question isn’t “would approach X be technically feasible,” but rather “would approach X be a realistic approach to count on, in light of factors W, Y, and Z”. One camp maintains that we don’t need nuclear power to arrest rising CO2 levels — that we can achieve everything needed through a combination of renewables, energy storage, efficient technology, and conservative lifestyles. There’s a strong emotional appeal for many in that position, and it is has technical merit. That is, looking at the fundamentals, yes, it’s possible. We could ultimately derive sufficient power from renewables to support current lifestyles, and/or learn to live comfortable and rewarding lives on a small fraction of the energy we currently squander. But as far as I can tell, nobody has even begun to make a credible case as to whether and how we might get there from here. The scope of change needed is immense, and making the changes will be a long swim upstream against the normal flow of economic and political currents. By the same token, those who see salvation in a new generation of nuclear technologies appear (to me) to be deluding themselves about key issues. The nuclear power industry in the West is sick, and the sickness has deep roots. There’s a reason why aerospace companies boost the estimated cost of a project by a factor of 10 if the project involves nuclear material. It isn’t mere padding; it’s the estimator’s best guess at the cost of compliance with the procedures and certification requirements that attach to a project when it involves anything nuclear. From a technical perspective, cheap, clean, inherently safe nuclear reactors are certainly possible. I’m a big fan of factory-produced “small modular reactors”. But in the regulatory and cultural environment in which we live, I doubt that they can be developed, certified, and brought into large-scale production quickly enough to make a difference. By the time SMRs could become significant contributors to global energy production, CO2 levels will have crossed 600 PPMv, still accelerating. By then, known feedback mechanisms will be operating, and cutting anthropogenic emissions all the way to zero won’t be enough to stabilize things. The severity of the problem we face is evident in EIA projections for world energy use through 2050. They show carbon emissions from fossil fuels increasing every year, despite an assumed doubling in the economic productivity of energy (ratio of GDP to energy use) and aggressive assumptions on growth in renewable energy. The cumulative CO2 emissions by 2050 are about three times higher than what would be allowable for atmospheric levels to limit at 450 ppm. That’s the limit that would hopefully hold global warming to 2 degrees C. Under that EIA scenario, the 2050 atmospheric CO2 level would be 600 PPMv, and still rising every year. These points are laid out clearly, with graphs and numbers, in a video presentation by Ed Kelly on his StratoSolar web page. The first six and a half minutes describe the problem, while the remainder describes Kelly’s proposed StratoSolar solution. What Kelly is working to develop is a non-nuclear approach to carbon-free energy that achieves a step reduction in the cost of power. It would make solar power cheap enough and reliable enough to displace fossil fuels on purely economic grounds. It would not depend on government mandates and subsidies. That’s what Kelly believes will be necessary to cut fossil fuel use fast enough to hold CO2 levels to 450 ppm. It’s the same goal that developers of next generation nuclear aim to achieve, but Kelly feels that his StratoSolar approach will be able to get there more quickly, with less public opposition and controversy. I tend to agree. Forgot to include a link to Kelly’s presentation: it’s at http://www.stratosolar.com/. This is yet another energy issue where people want to think in terms of either-or terms. Either we can achieve climate goals with renewables and energy efficiency or we can only meet them with new nuclear. Either you are an environmentalist or you are pro-nuclear or pro-fossil. The problem with the polarization on nuclear (or insert name of any other energy source) power is that technological, infrastructure, economic, environmental, and risk issues get oversimplified and the relationship between them is rarely understood by policymakers and the public. I don’t think the majority of the public understand the differences between small modular nuclear reactors and conventional centralized nuclear power, the latter which I can’t see the public ever embracing again. SMRs could play a role in a distributed energy system that also includes heavy use of renewable sources. You could envision an energy supply system where SMRs could be used in areas that lack significant hydro or geothermal resources to provide localized baseload generation. Rather than either-or, the best use of nuclear may be complimentary to renewables. However, with the domestic abundance of natural gas, there is little incentive to build the infrastructure necessary to support distributed sources. Centralized baseload power (as well as flexible load following and peaking power) can be provided economically at lower capital cost by natural gas units. As coal units retire, they are being replaced on-site by natural gas units, which eliminates the need to expand or upgrade transmission infrastructure. What is the economic or policy incentive to pursue nuclear in any form at this time? There is not one. So whether or not you think nuclear could play a role in meeting climate targets, right now economics trumps. I think the President and legislators have recognized the public-perception minefield that nuclear poses right now, and have publicly avoided it. Interestingly though, new DOE secretary Moniz does believe that SMRs represent the most economically viable nuclear power. I agree with Dawn’s concern about either/or positions. As to distributed energy, I also agree that the current technology makes it difficult to make an economical argument except in certain remote and security applications. However, I am aware of compelling advances in the near term that could change that enough to encourage many to have a mix of centralized and decentralized sources, especially when all the signs of the fragility of the centralized systems are coming to light. Furthermore, the over-dependence on centralized systems only makes centralized systems a more likely target of those who might want to use coordinated physical attacks, cyber attacks, or man-made RFI attacks against them for economic or terrorist reasons. An example of the usefulness of distributed systems is in the nuclear industry itself. While new nuclear technologies come along that are inherently safer and whose cooling needs are simpler and easier to supply, it would make sense for the nuclear industry to re-examine their current total dependence on diesel generators as a sole back up for spend fuel rod cooling systems. Either renewable systems or even small modular nuclear reactors would be better than being totally dependent on diesel generators, good as they are. Perhaps, these tertiary back-up systems might contribute to the ability of nuclear power plants to do their own black start. In today’s blog Krugman introduces a sketch of an economic model that accounts for the apparent reality that the growth in wealth inequality is primarily driven by the motive force of “monopoly rents” (i.e pricing cell phones at what the traffic will bear). This analysis suggests that this phenomenon is not just disadvantaging workers at the expense of management, it is also taking return on investment away from holders of conventional capital. It would be interesting to understand how this notion fits into the analogous situation with the monopoly rents that since about 1974 have increasingly been taken by companies that own vast reservoirs of fossil fuels designated to be extracted in the future. Way above my competence to do the econ-algebra, but this insight (i.e. everyone but the pirates loses) seems important because it is a “system” that is working apart from the traditional notion of ROI in constructed capital and manufacturing or service support technology. There is something obscene in the situation where BP can create a $30B mess and proceed in the confident assurance that it can deal with those costs out of cash flow – this at the time when the elasticity of capital in much less risky NP Plant operations is practically non-existent – particularly for the merchant generators. Perhaps a proper settlement with the federal government would be to force BP to buy the SONGS plants and underwrite the investigation of what it would cost to recover the plant to some reasonable level of reliable operation? I haven’t seen the film so I can’t really evaluate it. I think a plus is that it apparently recognizes that better alternatives to the conventional light water technology are needed and potentially possible. I thought Roger Arnold’s comments here were especially insightful. This isn’t a simple, binary issue. There are multiple options and trade-offs to consider. Along that line, Dawn’s comments also were helpful. Can one be an environmentalist and pro-nuclear? Yes! I’ve been one for 55 years, ever since I got my MS in Nuclear Engineering from MIT. It is heartening to see a number of responses above that call for a mix of energy sources, including nuclear power and renewable energy. As an environmentalist I know that nature uses diversity as a basic survival mechanism, i.e., don’t put all your eggs in the same basket. There are two energy related pathways to environmental catastrophe. One is associated with using energy, specifically the burning of fossil fuels that drive climate change. The other path is insufficient energy, particularly oil, which can and has led to economic crises and outright warfare. We are on both paths to environmental disaster and we will need a sufficient set of energy sources that do not create greenhouse gases. Why should anyone take a far more risky path by relying on an extreme energy future, such as all-nuclear or all- renewable one, when it has not been shown that we can replace fossil fuels in a timely manner to avoid severe climate change and warfare, with both nuclear and renewable energy working together? Let’s see a report that shows how to best combine nuclear and renewable energy. The present energy debate has been captured by extremists and what we need today is balance, pragmatism, and more focus on the environment rather than some energy ideology. My own thorough investigation into the merits of nuclear power found that the supply of uranium is relatively trivial which means that nuclear power is NOT an abundant source of energy. Nuclear power plants are not immune to human error and negligence. For instance when the Genoa nuclear power plant near LaCross, Wisconsin was built, a drinking water fountain was mistakenly connected t o a pipe of radioactive waste. When the San Onofre nuclear reactors were being built, the control room was on the wrong side of one of the reactors. It was cheaper to tear down the control room and rebuild it on the other side than to turn the reactor around. More than one instance has been recorded where both backup diesel generators at a reactor failed a test because of sloppy maintenance such as failing to add lubricating oil. The Department of Energy even stubbornly refuses to fund any of the more than two dozen possible methods of neutralizing radioactive waste such as those in my website http://www.padrak.com/vesperman. The Department of Energy has a multi-billion-dollar budget that is totally oriented to subsidizing energy fads such as nuclear power, oil, solar, hot fusion, solar, wind, geothermal, and coal. According to http://www.treasury.gov/initiatives/recovery/Documents/STATUS%20OVERVIEW.pdf, the Department of Treasury has awarded $18.2 billion in 1603-type grants to 77,511 energy projects – ALL of which pertain to conventional energy sources such as wind, solar, geothermal, and fuel cells. Yet not even a miniscule portion of the U.S. Government energy budget is devoted to proactively searching for and developing new methods of clean energy inventions such as those in my compilation of “130 Electrical Energy Innovations”. Is the energy industry really this deficient in brain power? This CERES report on Practicing Risk Aware Electricity Regulation http://www.ceres.org/resources/reports/practicing-risk-aware-electricity-regulation offers some good background on the challenges facing new nuclear power development. The principal author of the report is Ron Binz, the current nominee for FERC chair. “‘Today’s electric industry faces a stunning investment cycle. Across the country, the infrastructure is aging, with very old parts of the power plant feet and electric and gas delivery systems needing to be replaced. The regulatory environment is shifting dramatically as rules tighten on air pollution from fossil-burning power plants. Fossil fuel price outlooks have shifted. New options for energy efficiency, renewable energy, distributed generation, and smart grid and consumer technologies are pressing everyone to think differently about energy and the companies that provide it. Customers expect reliable electricity and count on good decisions of others to provide it. The critical nature of this moment and the choices ahead are the subject of this report. It speaks to key decision-makers, such as: state regulators who have a critical role in determining utility capital investment decisions; utility executives managing their businesses in this era of uncertainty; investors who provide the key capital for utilities; and others involved in regulatory proceedings and with a stake in their outcomes. While I read Sklar’s comment and have skimmed the following comments, no one seems to understand that most renewables (read solar and wind) are intermittent, they don’t run all of the time. Therefore, there must be base load power to get us through the night and on days when the wind doesn’t blow and the sun doesn’t shine. Of course, hydro can be the backup in some regions, but not very many. What has happened in Germany is that with so many subsidies to renewables, the price in electricity markets is so low (because the renewables are bidding their marginal costs, which are next to nothing) that new CCGT plants are being mothballed. With the phase down of nuclear power, Germany is now burning more coal than it ever has. Electricity prices are up 25% and electricity-intensive industries are moving out of the territory. Of course, the owners of the wind farms and small scale solar love the subsidies, which are locked in for years to come. The “green” answer (in the US) seems to be cheap shale gas, which has its own problems as pointed out in the New York Times earlier today; see http://opinionator.blogs.nytimes.com/2013/09/24/is-natural-gas-clean/?emc=eta1&_r=0. I’m a nuclear power analyst who doesn’t think nuclear power is evil. I grew up in Richland next to Hanford and I’m not suffering from radiation poisoning. Can we have a non-emotional discussion about energy policy without belief systems determining our energy policy proposals?